Plan Your Estate! 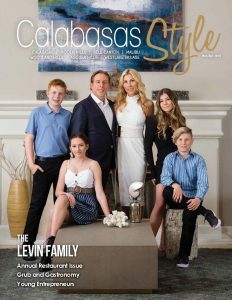 | Calabasas Style Magazine Plan Your Estate! Business Owners: Plan Your Estate! Vince Lombardi: The only place success comes before work is in the dictionary. Valuable business owners are constantly performing their demanding work of managing the complexities of their business. However, the often-neglected aspect of a business owner’s financial life is the design of his or her estate plan. When not properly planned and managed, an incomplete estate plan could have devastating consequences for the owner’s family and the business. 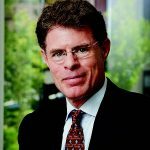 After a lifetime of building a successful business, it is not uncommon for the value of the business to comprise the vast majority of a business owner’s estate. Many business owners would like to see their business remain in the family after their death, or at least to have their family financially benefit should the business need to be sold. Without a well-conceived estate plan with full consideration to the business as an estate asset, the chances are high that liquidation of the estate can result in a “fire sale” of the business in order to pay estate liquidation costs and taxes. It takes a well-conceived estate plan with special consideration to the business owner’s intent for the business, either as an ongoing concern or as a source of capital for their family, to ensure the business remains intact and is smoothly transferred upon the business owner’s death. • Ensure that the value of your business is not adversely impacted by your death. • Provide the capital needed to keep the business operating after your passing. • Continue to provide capital to meet the immediate cash needs of the family. • Ensure that the business can provide a continuous stream of income for the family. • Minimize estate taxes and other costs. • Facilitate the timely and private distribution of assets by avoiding probate proceedings. • Communicate your wishes to your heirs to minimize possible family tensions. • Preserve estate assets for the benefit of future generations. Business Continuation Plan. In the event of the death of a partner or shareholder, a business continuation plan, typically funded by life insurance, provides the needed funds to buy out the surviving spouse or other family members. Business Succession Plan. All business owners who intend to transition out of their business need to create strong business succession plans several years before their anticipated exit date. Addressing the issues in a multi-year buyout allows the owner to get the best price and terms for the sale of the business. Revocable Living Trust. The revocable living trust is the bedrock of any well-thought-out estate plan. When the business ownership (sole proprietor, partnership, or corporation) is held in the revocable trust, the owner controls the ultimate distribution of the business and the business asset is not included in the probate estate, thereby eliminating the cost, delay, and publicity of probate proceedings. Irrevocable Life Insurance Trust. When a business comprises a large portion of the estate, the estate will need capital in order to pay the estate settlement costs and taxes to prevent the liquidation of the business. When life insurance is held in an irrevocable life insurance trust, the proceeds will not be included in the owner’s taxable estate. Business owners spend a lifetime investing sweat equity and money into their enterprise, often with the hope of having their family and future generations benefit after they are gone. The only way to ensure that happens is with a solid estate plan specifically designed for business owners. Copyright© Mark Wendell 2018, All Rights Reserved.